The Building Better Opportunities project brings together funding from the Big Lottery Fund and the European Social Fund (ESF) to help tackle the poverty and social exclusion faced by the most disadvantaged people in England. 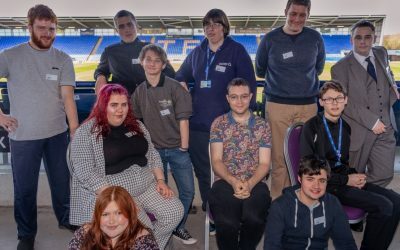 Delivered in conjunction with The Marches Local Enterprise Partnership (LEP) and in partnership with Landau, we provide pre-employment support within Shropshire and Telford and Wrekin for disadvantaged people aged 19 and over who are not in work. What support is offered through this service? The project focuses on assisting people who have disabilities or health conditions – helping them to secure paid employment, apprenticeships or training opportunities. An Enable Employment Specialist will work with the client on a 1:1 basis and offer individualised support to help them decide on a career path that suits their needs and interested. We have already assisted over 120 job seekers on their journey to work and many have moved into sustainable employment. We will continue to maintain relationships with Job Centre Advisors and aim to make ourselves available to new referrers. People who are aged 19+ that have a disability and/or mental health need and are keen to enter into employment.